In early days in my life, they gave me a lot of fun than anyone else ! Who are they ? That's "Sunflowers".The Best Music Band Of the industry so popular. In early 90's, many of the Sri Lankans, except young and school children, had blamed them without reasons. With their debut album, "Salade", Nonstop , they had make the country rock . The leader of the group was 'Neel Warnakulasuriya', has able to keep his position with many obstacles until now. The heart of the group is 'Nelson Vass', is the leading singer. With them Ivore De Mel(Bass), Earny Peris(guitar), Cristoper(Vocalist), Atula Adikari(Organ), Mahinda Silva (Drum)were others. With the time some of them had to leave the band without quarrels or problems , for their personal purposes. Now, with Sudath Nawala, Noyel Raj,From Drums, The most telented drummer in the country, Roshan perera, Anton perera(Key Board) and Manjula Gamage, Ruwan,.........( Who are others in The Sunflowers ? If you know You can comment here !) 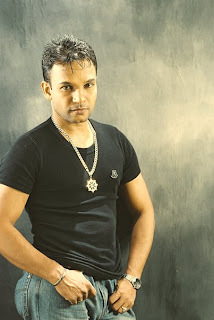 , Nelson and Neel, still making new trend in the Sri Lankan Music world. When early days of the "Sunflowers", we were children. Now, some of them are keeping in high positions in the TV, Radio Stations and many more. They are giving many chances for our lovely band these days, can't find any one who blame the "Band", these days. Now, thousand of people has got jobs because of "The Sunflowers" group. Even Singers. Some poor singers in last decades, Have sang to the music of Sun Flowers and in one night, thousands of their CD's have sold and got popular because of The Sunflowers. I can still remember the day in my school times, About 16 years ago, I think their "Salade" cassettes were much popular era, First I've met them at "New cinema" Matara.When I told some persons that I want to meet them, those people said "NO" , you can't. But, "Sunflowers" leader, Neel ,had seen that incident and told them, "leave them to me", so with Atula Adikari and Nelson Wass.I was able to get their signs for the first time in Matara, and now you can see them for the first time. The signs of "Sunflower", group !